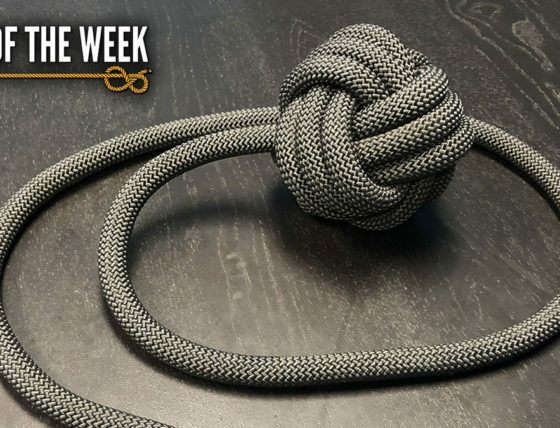 While the Monkey’s Fist is often used to finish off decorative knot work or make fancy keychains, there are actually more practical applications that we’ll be going over in today’s Knot of the Week. Hopefully it will also convince you of its place amongst your knotty repertoire. The Monkey’s Fist is primarily tied on the end of a rope to weight it and add momentum during its flight, this is often called a heaving line. 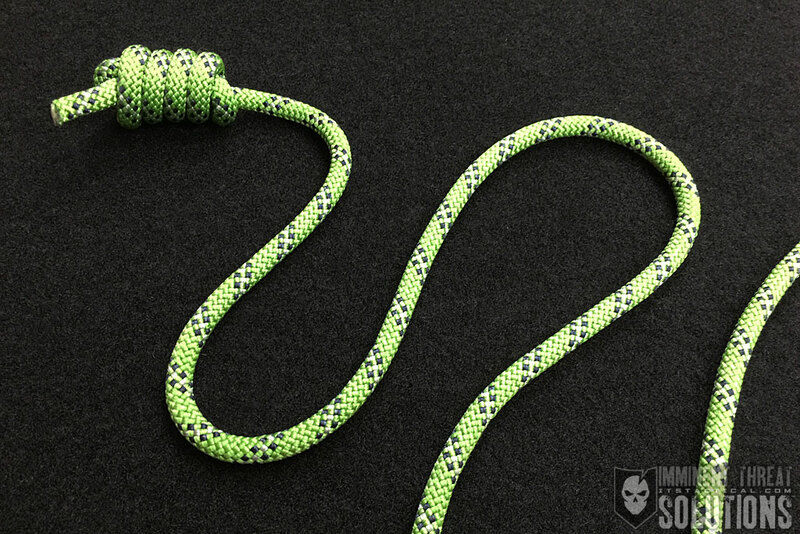 If you’ve ever tried to throw a rope on its own, you’ll know it can’t get very far without a weighted end. Once a heaving line is thrown, it could then be attached to a larger or heavier line and pulled back into position. A good example of this would be hanging a bear bag to keep your food off the ground and obviously away from bears. 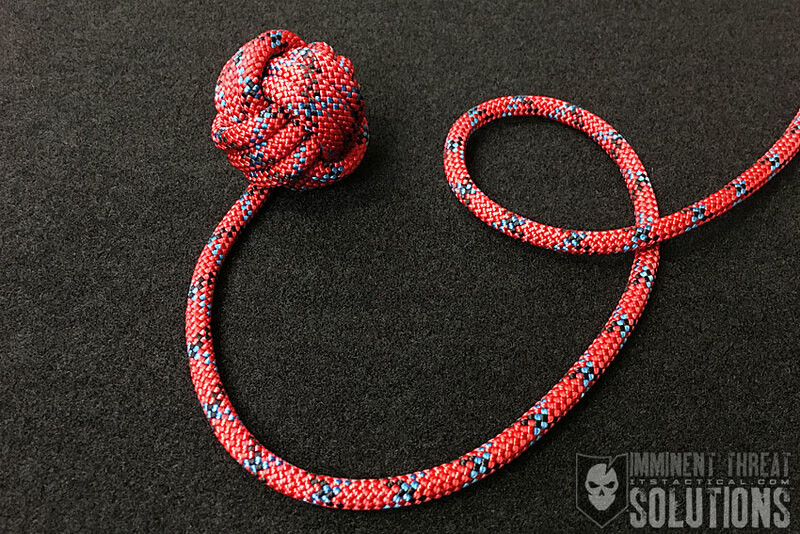 A Monkey’s Fist was historically used to run a line for ship-to-ship operations due to the fact that it could be tied with a weighted core inserted and endure many tosses back and forth. As you’ll see in the video below, I demonstrate how to add a weighted core, which can be anything from a golf ball to a rock you find lying around. Currently the U.S. Navy uses Shot Line, which resembles Dummy Cord, during ship-to-ship transfers for UNREP (Underway Replenishment.) 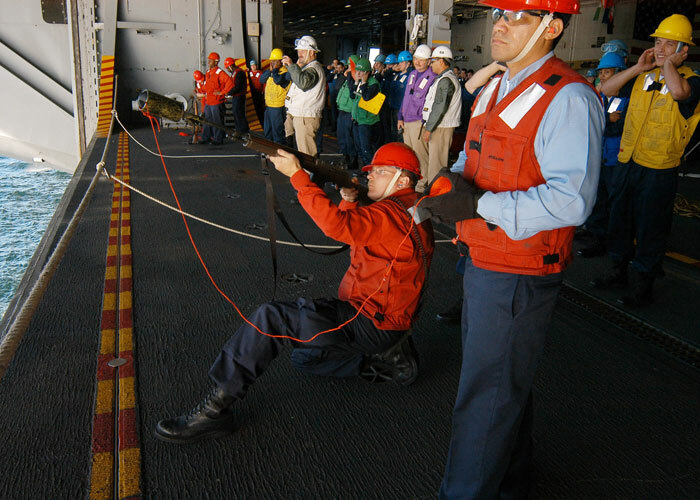 The Shot Line is connected to a projectile housed in an adapter at the end of an M14 and fired by a blank round, to be received by the opposing ship’s crew. A Monkey’s Fist can also be used as a stopper knot, to stop a knot from passing through a hole, or even as a pull. I used a Monkey’s Fist with Paracord to replace the pull handle on my attic ladder. (Strength: 5/Secure: 5/Stability: 4/Difficulty: 4) See below for what these ratings mean.